You heard it here first: the newest hip-hop tribute to our City by the Bay. This new song by longtime denizen J. W. Friedman is a musical diary entry encapsulating why a lot of us chose to live (and stay) here. Add this to your essential Yay Area playlist ASAP. The exclusive new jam name-checks all things local: layering (seriously, you have to), intersections all over town, and the barge in the Bay just outside of AT&T Park. 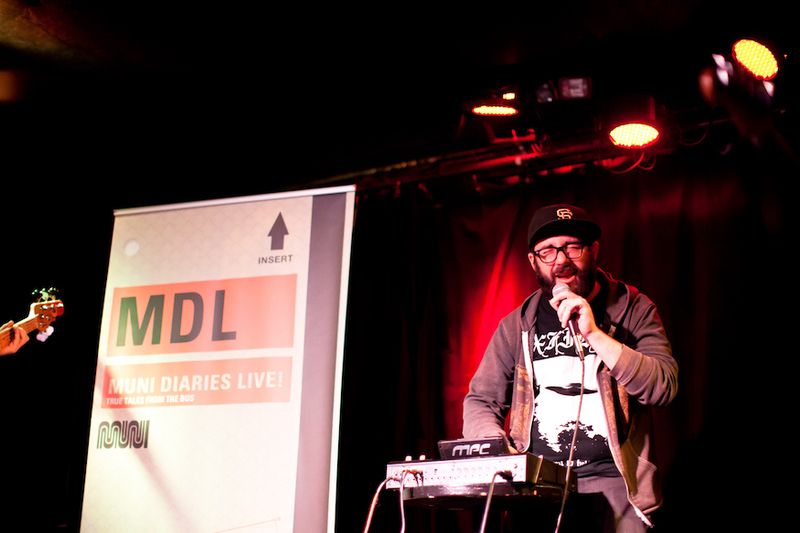 Muni Diaries Live attendees might remember as J as Satellite High, who first blew our minds with a whole album dedicated to Muni (read the interview here and watch this live performance). Sharp-eared podcast listeners may also recognize his name and style from our theme music. J is also the cohost of the wonderfully snarky podcast, I Don’t Even Own a Television, wherein he and cohost Chris Collision read terrible books from beginning to end just so they can review them for the masses. To get an IRL sense of their sense of humor, come see Chris Collision at our Muni Haiku Battle, LitCrawl Edition this Saturday at Clarion Alley.